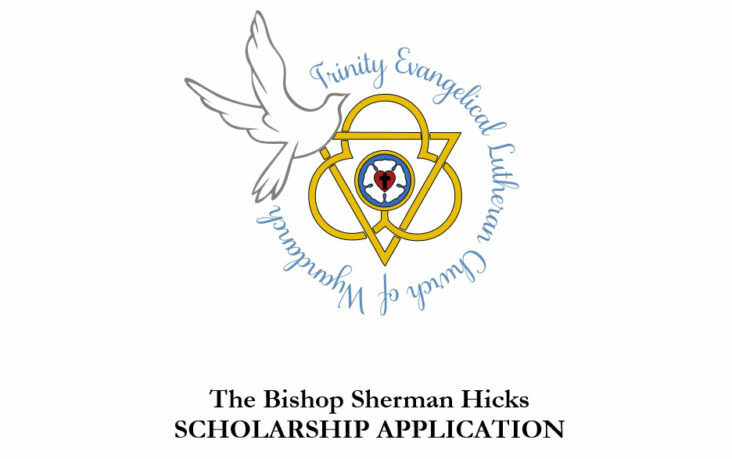 This application form will be used for The Bishop Sherman Hicks Scholarship sponsored by Trinity Evangelical Lutheran Church in Wyandanch, New York. Applicants with a background matching the application criteria will be considered eligible applicants for the scholarships. This scholarship application does not pertain to any scholarships offered by community, civic, private, or other groups and organizations outside Trinity Evangelical Lutheran Church, Wyandanch, New York. Scholarship applications are being accepted for The Bishop Sherman Hicks Scholarship until December 31, 2016. Applications will not be accepted after this deadline. To view or download Scholarship Application Form, please click following button.